Small businesses looking to beef up their network security will be glad to see that Netgear has announced the release of the ProSecure UTM5, a scaled-down version of its existing ProSecure UTM (Unified Threat Management) product lineup priced for 5-user networks. The Netgear ProSecure UTM5 offers the same security features of the UTM10 and UTM25--Web and e-mail scanning and content filters, hourly automatic signature updates of over one million malware signatures, and advanced spam filtering and firewall features, just to name a few--but cuts down on the supported bandwidth to make the price more compelling to businesses with smaller networks. 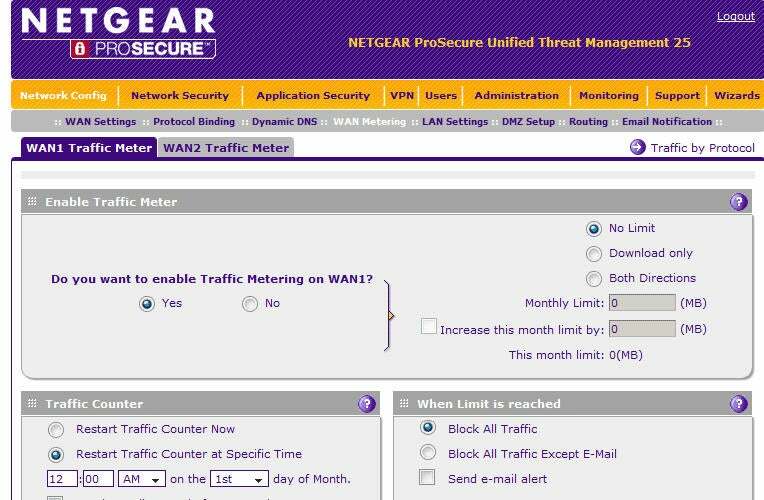 Of particular interest is Netgear's Stream Scanning function, which allows the ProSecure UTM line to provide antivirus, spam filtering, and Web security functions licensed from Sophos, Mailshell, and Commtouch without sacrificing speed comparable to existing UTMs. Also, you can configure the UTM5 with a provided wizard application or a full-featured GUI, so businesses without dedicated IT staff can still give their network a boost of extra security. All told, the UTM5 costs $275 for the appliance itself, and $400 for the appliance plus a year of their Web/E-mail protection and 24/7 support subscriptions. The subscriptions can also be broken down by individual service (anti-virus, e-mail protection, and support) in 1-year and 3-year increments for small businesses who would rather pick and choose their coverage. For more coverage on Netgear's SMB offerings, read up on the recent ProSafe wireless network controller announcement.